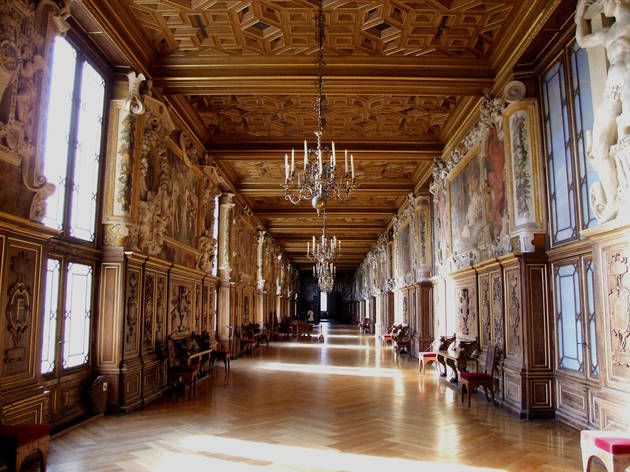 The Château de Fontainebleau, a former hunting lodge, is a real mix of styles. In 1528, François brought in Italian artists and craftsmen to help architect Gilles Le Breton transform a neglected lodge into the finest Italian Mannerist palace in France. This style, noted for its grotesqueries, contorted figures and crazy fireplaces is still visible in the ballroom and Long Gallery. Henri IV added a tennis court, Louis XIII built a double-horsehoe entrance staircase, and Louis XIV and XV added Classical trimmings. 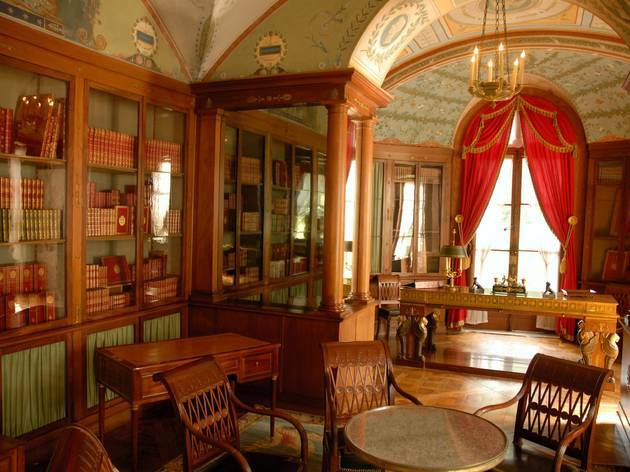 Napoleon and Louis-Philippe also spent a fortune on redecoration. The château gardens include Le Nôtre's Grand Parterre and a carp pond in the Jardin Anglais. There's also an informal château park, just outside. 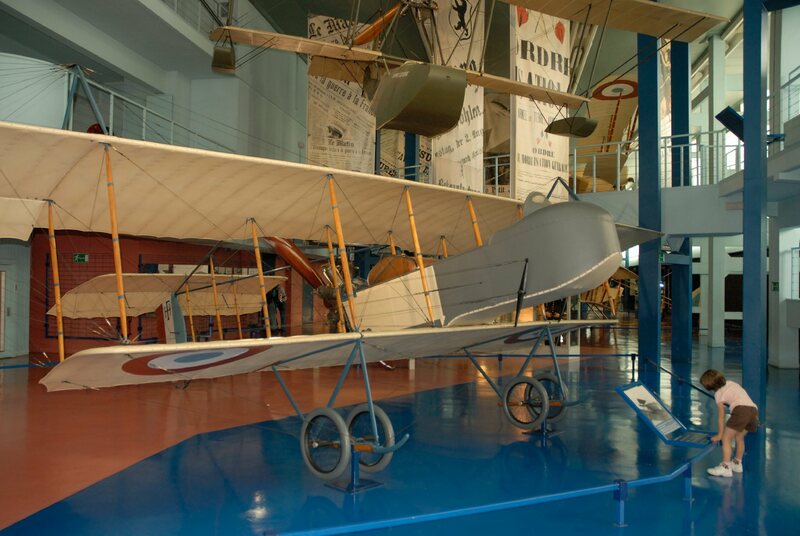 Set in the former passenger terminal at Le Bourget airport, the museum's collection begins with the pioneers, including fragile-looking biplanes and the command cabin of a Zeppelin airship. On the runway are Mirage fighters, a US Thunderchief, and Ariane launchers 1 and 5. A hangar houses the prototype Concorde 001 and wartime survivors. A scale models gallery opened recently. 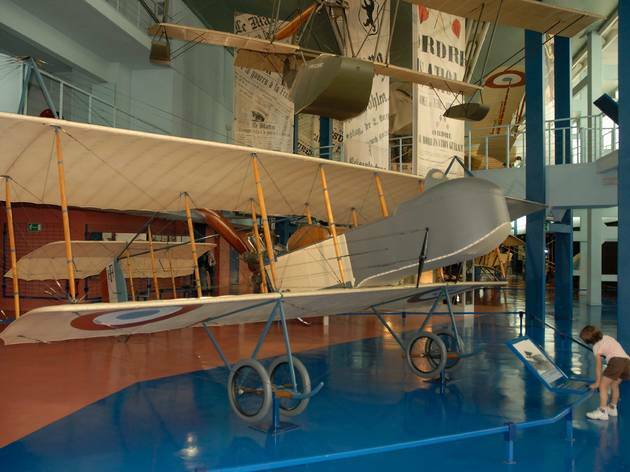 This awe-inspiring museum traces France's rich archaeological heritage. The redesigned Neolithic galleries feature statue-menhirs, female figures and an ornate tombstone from Cys-la-Commune. 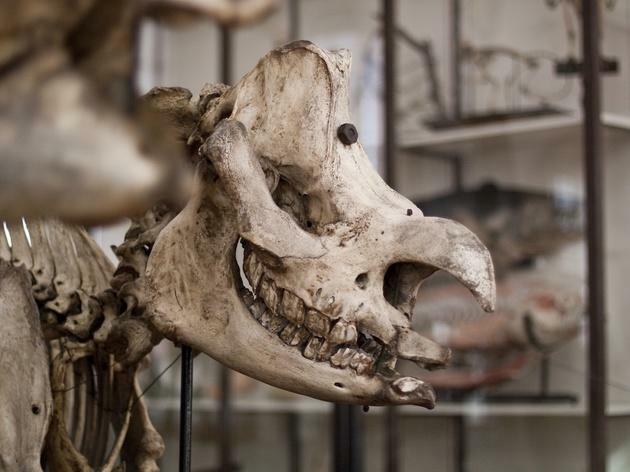 Curiosities include the huge antlers from a prehistoric Irish deer and the 18th-century cork models of ancient sites. 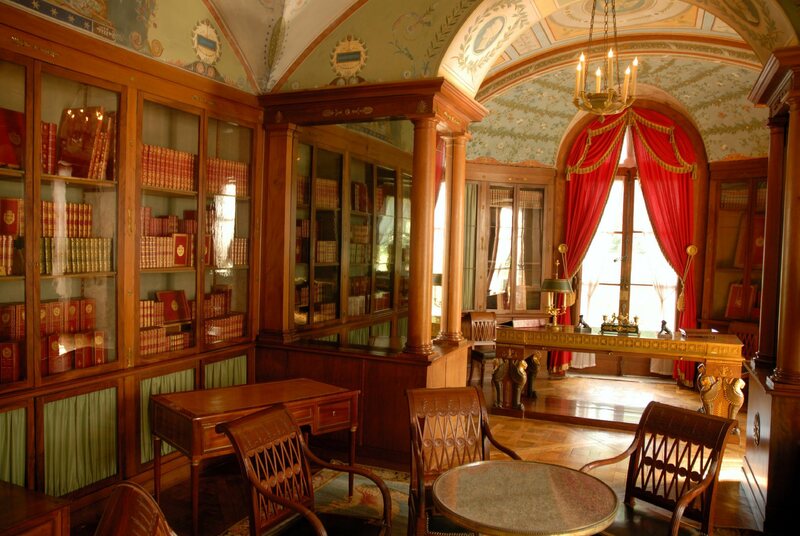 Napoleon and Josephine's love nest, bought by Josephine in 1799, was the emperor's favourite retreat during the Consulate (1800-03). After their divorce, Napoleon gave the château to his ex, who died here in 1814. The couple redesigned the entrance as a military tent; you can see Napoleon's office, the billiard room and Josephine's tented bedroom. Today, the château is often used for wedding receptions. The Renaissance château completed in 1555 for Royal Constable Anne de Montmorency and wife Madeleine de Savoie is the setting for a collection of 16th-century decorative arts (some sections are open only at certain times so it's a good idea to phone ahead). Best are the painted chimney pieces, decorated with biblical and mythological scenes. 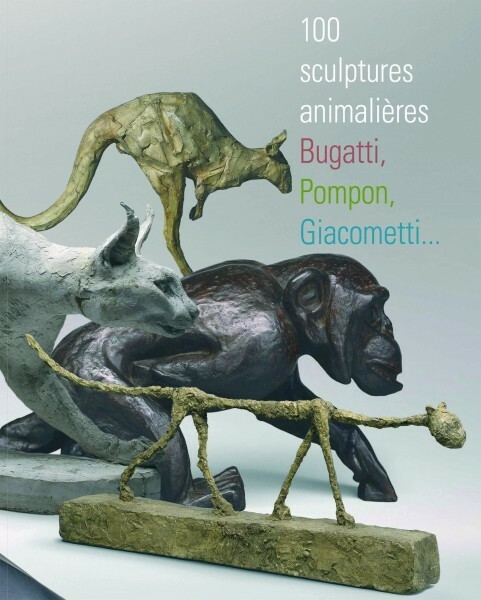 The Musée des Années 30 is a must for lovers of the Art Déco period, with a small but interesting collection of art and sculpture from the 1930s. 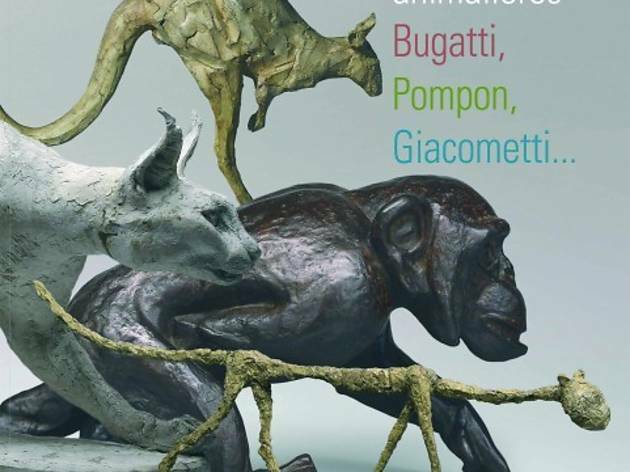 Look out for modernist sculptures by the Martel brothers, graphic designs, and Juan Gris still lifes and drawings. The highlights are the designs by avant-garde architects Perret, Le Corbusier and Fischer. 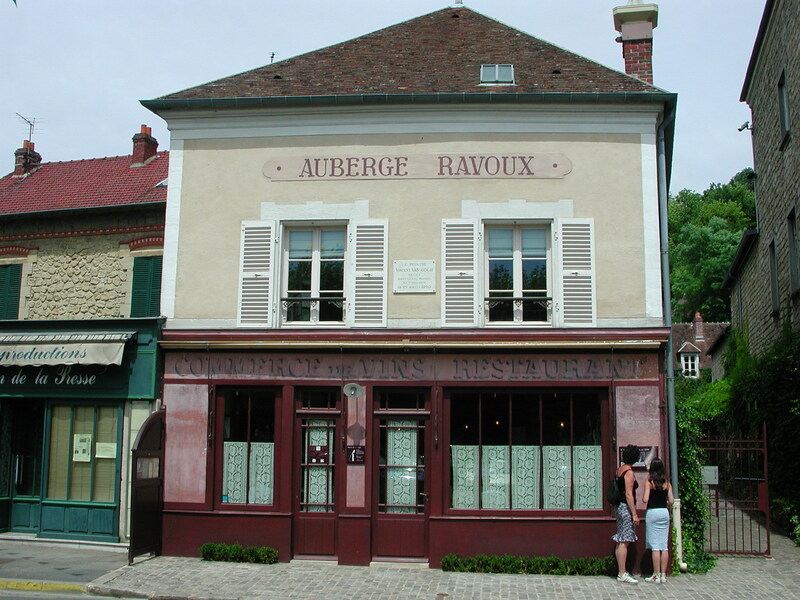 If your French is up to scratch sign up (with the museum) for an Art Déco themed tour around Boulogne. The morning part takes you around the town centre, which is peppered with 1930s gems; while the afternoon is dedicated to the museum's collections. 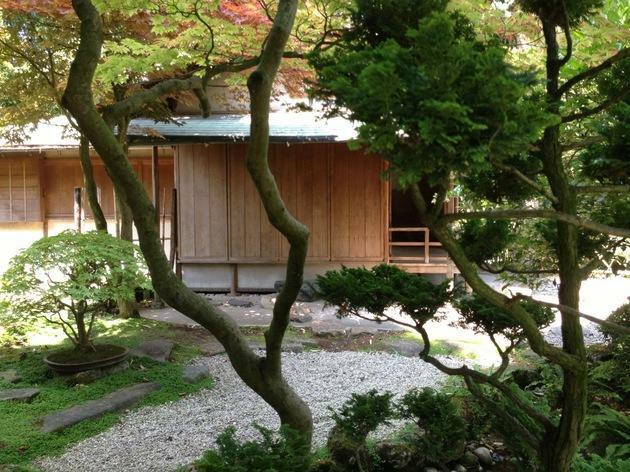 The spectacular, ten-acre jardin alone makes a visit to the Albert Kahn Musée & Jardins in Boulogne-Billancourt worthwhile: Each section is modelled on a garden from around the world – rocky Vosgienne forest, Japanese village gardens, contemporary Japanese gardens and English and French gardens – and makes for a wonderful, lazy afternoon away from the hubbub of central Paris. On Tuesdays and Sundays between April and September (except July and August), in the pavillon du thé, you can even partake in a Japanese tea ceremony, led by a tea master from Kyoto’s Urasenke school. Albert Kahn was an early-20th-century banker and philanthropist who financed ‘discovery’ missions across the world. His main legacy is the ‘Les Archives de la Planète’ on show inside the house – a fascinating collection of films and snapshots brought back from each mission in over 60 countries. Kahn’s autochrome Lumière photography collections (colour photos on glass plates) were among the first of their kind and are particularly fascinating if you’re into anthropology or photography. In 18th-century French medical schools, study aids were produced in one of two ways. 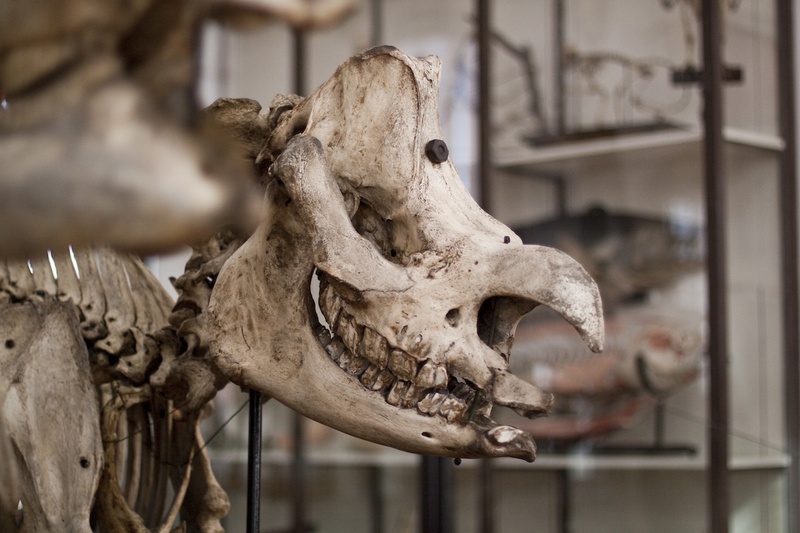 They were either sculpted in coloured wax or made from the real things - organs, limbs, tangled vascular systems - dried or preserved in formaldehyde. Veterinary surgeon Honoré Fragonard was a master of the second method, and many of his most striking works are now on display here. 'Homme à la mandibule' is a flayed, grimacing man holding a jawbone in his right hand - an allusion to the story of Samson slaying the Philistines. 'Tête humaine injectée' is a rather more sober human head whose blood vessels were injected with coloured wax, red for arteries and blue for veins. And, most grandiose of all, 'Cavalier de l'apocalypse' is a flayed man on the back of a flayed galloping horse, inspired by a painting by Dürer.